Tracks weight, sugar levels, diet, exercise. Is there a better alternative to Weight Tracker Pro? Is Weight Tracker Pro really the best app in Health and Fitness category? Will Weight Tracker Pro work good on macOS 10.13.4? 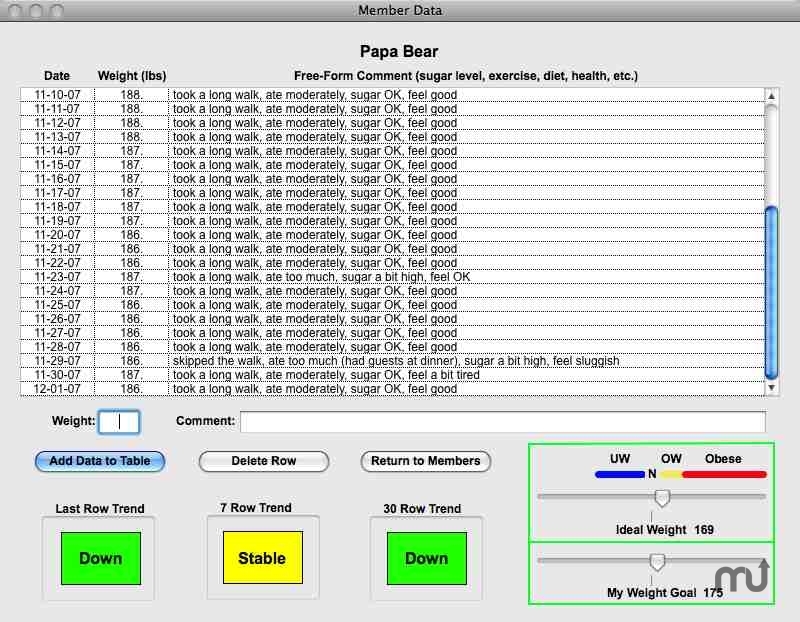 Weight Tracker Pro helps adults and youth track their weight and keep a freeform log of sugar readings, diet, exercise, etc. Short, medium and long term trends are displayed. Progress is compared to user's weight goal and to an "ideal weight" based on user's height (for adults) or age (for youth). Users may choose to use English or metric units. In Demo mode the user may use the application for ten launches before registering. Weight Tracker Pro is compatible with files used by Weight Tracker. Weight Tracker Pro needs a review. Be the first to review this app and get the discussion started! Weight Tracker Pro needs a rating. Be the first to rate this app and get the discussion started!